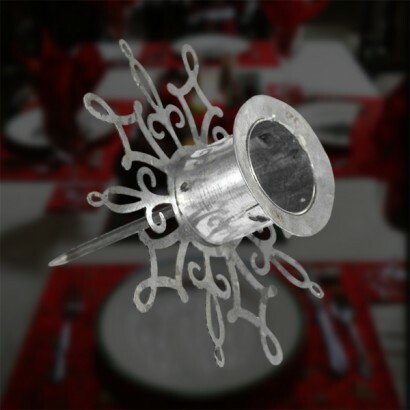 Use this silver candle spike to support dining candles, for Christingle oranges or even for decorations for Advent Walks not only supporting your decorative candles, but for festive, decorative looks too. 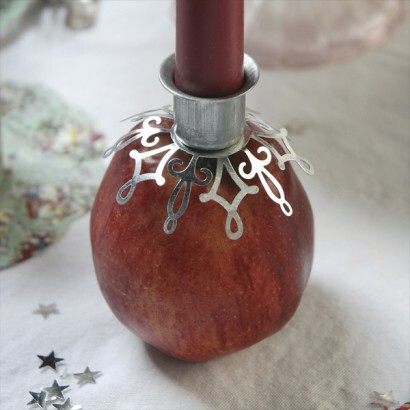 The intricate detail on this silver candle holder creates a wonderful table decoration when stuck into a piece of fruit or floral foam - oasis. Ideal for community/group festivals as Advent Spiral and Christingle celebrations. The spike brings a lovely touch to the candle light. After receiving a previous order of this candle holder I have ordered a few more. They are perfect for a group event and traditional candle lights for the Advent Spiral Walk or Christingle candle close to Christmas.